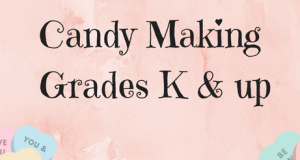 Join us for an evening of candy making! We will be experimenting with different molds and fillings. Registration required. Limit 8 each session. Open to children in grades K and up. Please sign up for only one session.